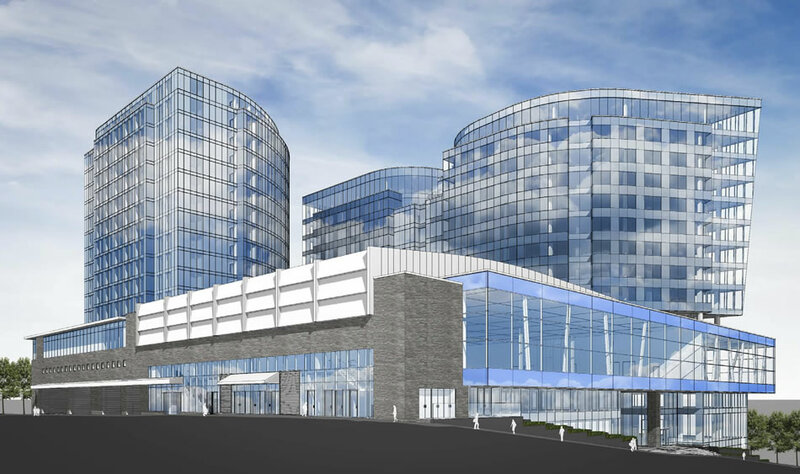 A Public Open House will be held on Wednesday, April 13, 2016, between 7:00-9:00 p.m., at the Cambridge Suites (Brunswick Room), 1583 Brunswick Street, Halifax to present information on the Nova Centre development proposal. 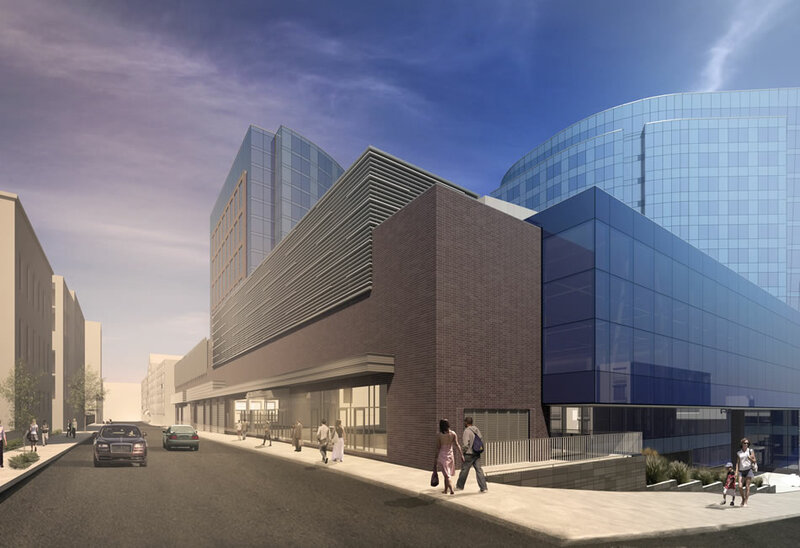 Nova Centre is currently under construction in accordance with the requirements set out in the existing Site Plan Approval and Building Permit. For reasons outlined below, a number of modifications to the approved design have become necessary. These need to be considered and approved by HRM’s Development Officer and the Design Review Committee. Addition of brick surrounds at the north and west elevations of the hotel tower. The intention here is twofold. To distinguish the hotel tower from the office towers and to recall the heritage of Halifax through the use of `punched` windows and masonry. The corner detail at the southwest and northeast corners of the hotel tower has been modified. Achieves a better integration of the tower’s square and curved geometry. The arrangement of glazing and spandrel panels at the hotel elevations has been modified. Addition of two overhead doors at Market Street. This modification is in response to a security concern. The addition of these doors provides both the hotel and the convention centre the ability to operate their shipping and receiving functions independently. Change in overhead door material. The overhead doors were intended to be provided with translucent panels. Due to the large size of the doors, translucent panels were not available. Additionally, the convention centre did not support the use of translucent panels for security reasons. Modifications to canopies on Market Street elevations. The Market Street canopies were modified in response to modifications made to the overhead doors. Delete decorative `punched` windows from north and west elevations. This modification was made at the request of the hotel operator who intends to use the north elevation area for signage. The west elevation was modified for consistency. Increase height of mechanical equipment and louvers at the south end of Market Street. This modification responds to a change in the convention centre program which increased the anticipated air handling demand. Satisfying this demand required an increase in the size of air handling equipment. Addition of louver at corner of Sackville and Market. Louver is required to service increase in the size of air handling equipment. Atrium entry on Rogers Square has been enlarged to accommodate a revised vestibule. Building directory with granite plinth has been added to Rogers Square. The soffit on Rogers Square has been modified to accommodate recessed lighting. The curtain wall at Rogers Square, north elevation, has been modified. Curtain wall at the north and west elevations of the hotel podium has been modified to accommodate additional louvers. This modification responds to a change in the convention centre program which increased the anticipated air handling demand. For further information, please contact Argyle Developments at 902-405-9999 or Noel Fowler Architect at noelfowler@eastlink.ca. 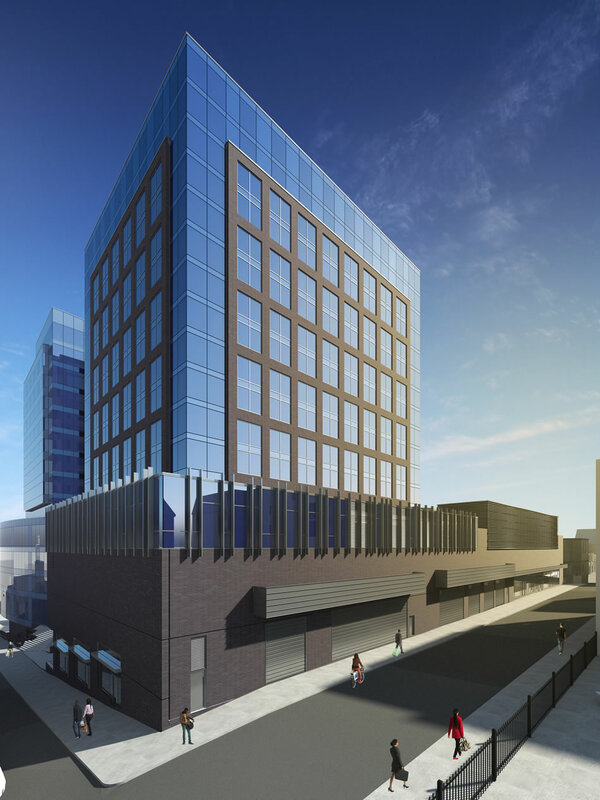 Approved Design - View from Prince St. and Market St. 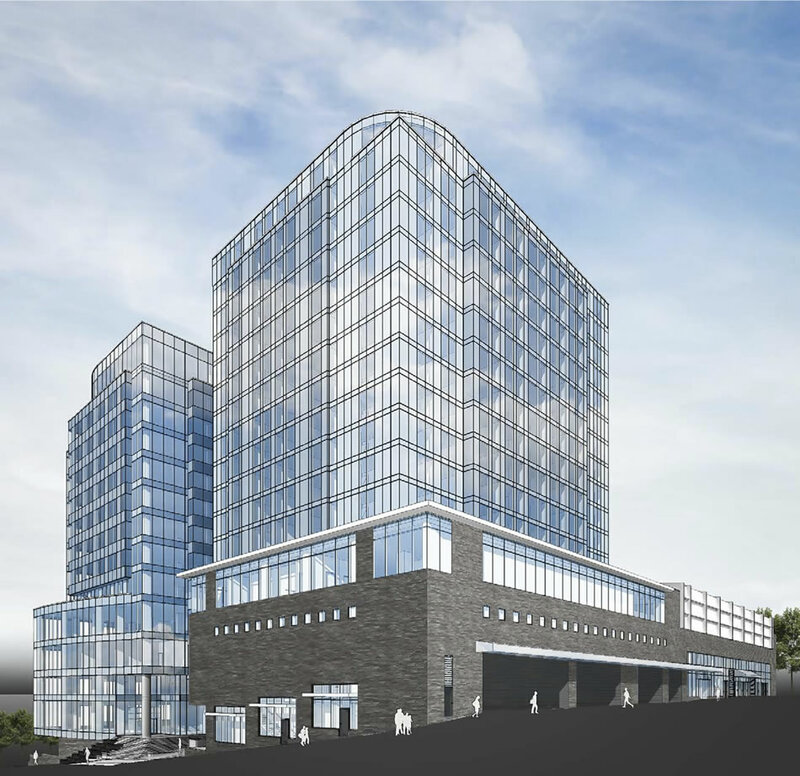 Proposed Changes - View from Prince St. and Market St. Proposed Changes - Sackville St. and Market St.